Save on your next flight from MLY to MEI when you book through Travelocity. Need a last-minute flight to Meridian? Travelocity offers discount airfare no matter when you book, even on popular routes such as Manley Hot Springs Airport to Meridian Regional Airport. Whether you need a direct or indirect flight, you can trust Travelocity to provide you with the best prices for MLY to MEI flights. Explore Meridian with Travelocity's Travel Guides to find the best flights, cars, vacation packages and more! Situated in Meridian, this hotel is within 2 mi (3 km) of Meridian Museum of Art, Temple Theater for the Performing Arts, and Mississippi Industrial Heritage Museum. Bonita Lakes Mall is 2.9 mi (4.7 km) away. Located in the heart of Meridian, this hotel is within 2 mi (3 km) of Temple Theater for the Performing Arts, Mississippi Industrial Heritage Museum, and Meridian Museum of Art. Lakeview Golf Course is 6.2 mi (9.9 km) away. Situated in the suburbs, this hotel is within 2 mi (3 km) of Temple Theater for the Performing Arts, Mississippi Industrial Heritage Museum, and Meridian Museum of Art. Bonita Lakes Mall and Bonita Lakes Park are also within 3 mi (5 km). Meridian Union Station is 25 minutes by foot. 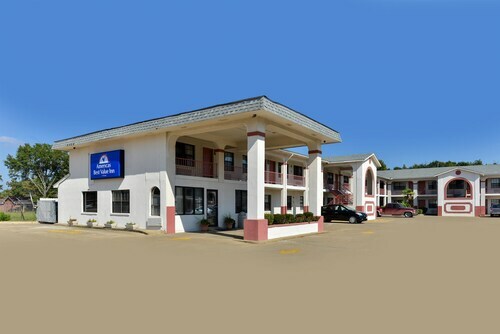 Situated in Meridian, this motel is within 2 mi (3 km) of Temple Theater for the Performing Arts, Mississippi Industrial Heritage Museum, and Meridian Museum of Art. Bonita Lakes Mall and Bonita Lakes Park are also within 3 mi (5 km).